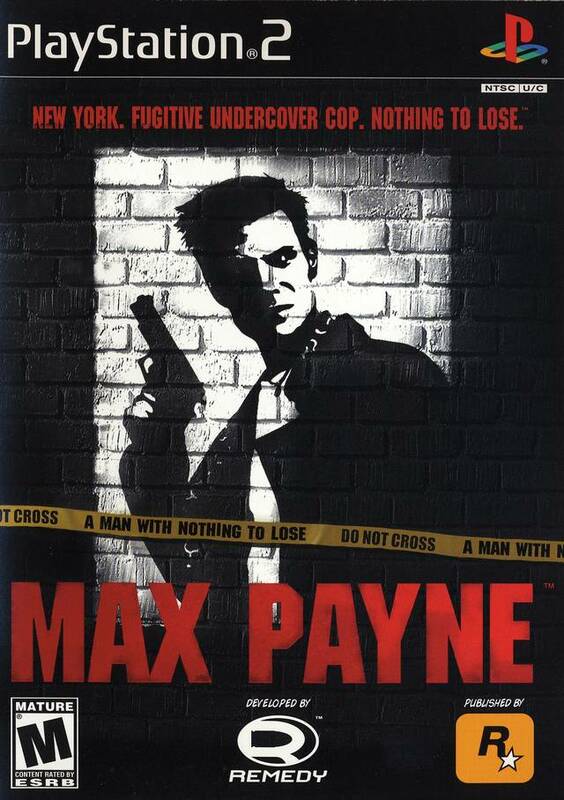 Max Payne is a man with nothing to lose--a fugitive undercover cop framed for murder, and now hunted by the cops and the mob. 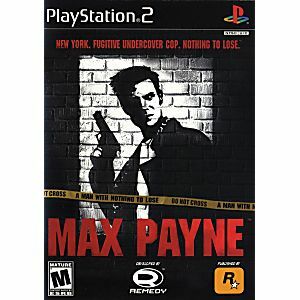 As Payne, you'll uncover plot twists, engage in dramatic "bullet-time" firefights with thugs, and fight your way through an unforgiving New York blizzard. 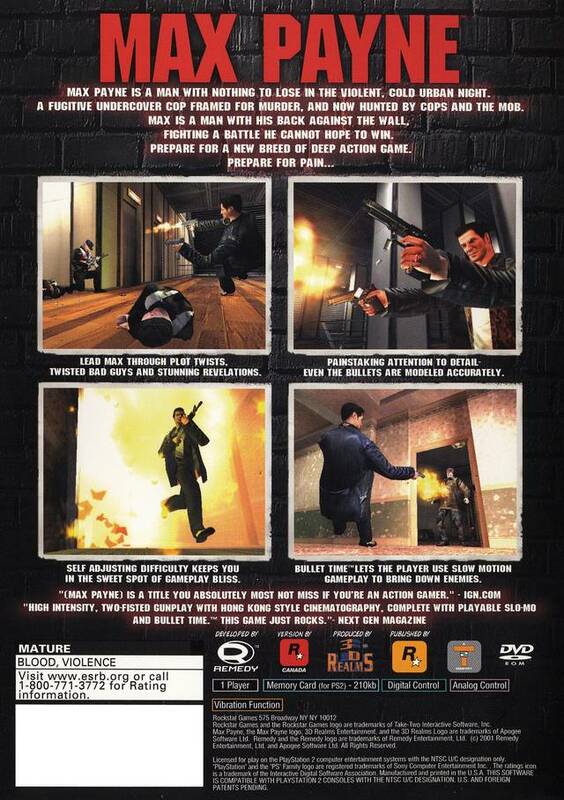 A groundbreaking rendering engine allows for heart-stopping, photorealistic visuals and breathtaking movie-quality effects as Max Payne fights his way to uncover the truth. The game is really fun. Amazing game. Beautiful story. A must buy. This game is amazin. The story is so touching and compelling and even funny at times and Max is probably the most badass guy ever thought up. To make this quick, the game is great and it came quick and in great condition. I definitely plan on using this site for a long time. Rockstar with another greatly executed shooter with a story that's told very well. I really enjoyed this game. I liked the action, the controls, the (at the time of its release) insanely advanced "slow down time" controls and the storyline/graphic novel feel. I was NOT a fan of the blood trail levels though. I understand why they were there, but I was not emotionally involved in the story enough to have spent an hour trying to jump from one blood trail to another to get to the end only to fall off of the trail and have to start over the entire level... Other than those two levels, everything was great! Challenging and fun! As always, arrived quickly and in perfect condition. Thanks Lukie! You Rock!